Brick + Mortar had taken over the space formerly occupied by Salute, the wine bar. It was located in the Edgemar complex behind Peet's coffee. Peet's coffee has always been my go-to coffee spot in Santa Monica. Note to Peet's: please open a spot in Culver City or Century City. Street parking was a snap, and our party of three was seated immediately on a Monday evening. The burger at Brick + Mortar ordinarily goes for $15, but we lucked out and qualified for the happy hour price of $10. Brick + Mortar sported a full bar and an extensive selection on beers on tap (20ish) along with a couple of ciders. Sous Chef Jessica Cabo was running the brigade on the evening that The Marinater and I stopped by. Our burgers were delivered to the table within about 15 minutes. 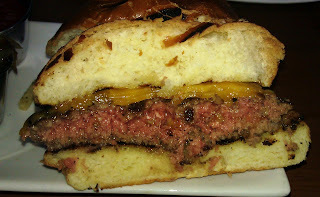 The Beef: The burger meat at Brick + Mortar was a custom blend of 2 parts brisket and 1 part dry-aged Short Rib. The beef was delivered pre-ground from Rocker Brothers Meats. The fat content was 20%, but the beef seemed far oilier. In terms of flavor, I really expected more of this burger. The beef had only the faintest taste of funk from the dry aging process. The mineral notes were almost entirely lacking, but the cheese did fill in this void with iron. The burger was only moderately beefy. It was more flavorful near the fully cooked edges, but the center was bordering on timid. Looking back, I should have ordered this one Medium rather than Med-Rare. The grind was too fine, so the graininess that I have come to love from Brisket was completely lost. Brisket is a cut best ground coarsely to take advantage of its texture. The mouth feel of this burger was generally loose. The burger was properly juicy. However, it was on the oily side. Overall, the beef was above average but not spectacular. The Seasoning: The exterior of the burger at Brick + Mortar was lightly dusted with salt. The interior of the thick burger was unseasoned. The Sear: The sear on my cheeseburger was nominal. The sear was achieved with a gas-fired grill. the grill was hot enough to scorch the buns, but the burgers were fussed with too much to develop a decent sear. The burgers were turned 3 times, and I found it puzzling that the kitchen chose to flip a Med-Rare burger patty 3 times. They should have left it alone and just turned it once. This would have allowed a proper sear to develop. The Preparation: The beef at Brick + Mortar came pre-ground from Rocker Brothers Meats. The burgers were formed into 1/2 pound patties during the prep shift and allowed to rest. The loose bite suggested that a gentle hand formed the patties. The Cheese: The cheese at Brick + Mortar was the superstar. This was a tangy, salty, iron-heavy, beast of a yellow Cheddar. The Cheddar filled in everywhere that the beef was lacking. The Cheddar saved the dish from being boring and insipid. I would have preferred that the Cheddar have been more thoroughly melted on my cheeseburger, but this was a minor nit. The Bun: The Brick + Mortar was a big, oily brioche from Rockenwagner. Why restaurants EVER brush the top of a bun with oil just prior to serving it to a customer is a complete mystery to me. Oily in the hand and oily on the palate....these are both unpleasant things to experience. The high-domed bun was fresh, moderately yeasty, and completely competent. The leathery skin created a nice texture. 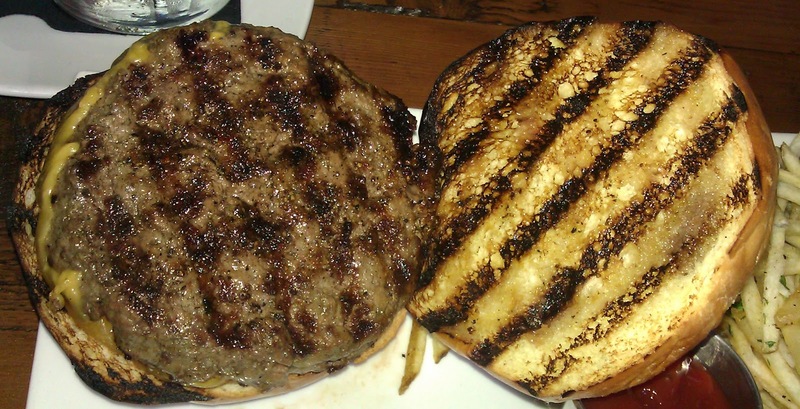 The bun was not properly toasted, rather it was grilled and somewhat blackened on both sides. The Meat To Bun Ratio: The bun was a little too much for the hefty burger patty at Brick + Mortar. I found it far more enjoyable to eat the burger without the top bun. The Toppings: The shredded Iceberg lettuce was fine. The Roma tomato slices were shockingly tough and rubbery. I was unable to choke down any of mine. Whoever cut those tomatoes in the kitchen should have known better. The balsamic onions were equally disappointing. The onions had only the faintest note of balsamic tang. The onions had also failed to take up the characteristic black/purple color of the vinegar. Finally, the texture of the onions was uncharacteristic of what I have come to expect of properly marinated onions. These balsamic onions were clearly prepared in a hurry. The Fries: The shoe string fries were hand cut, in-house. 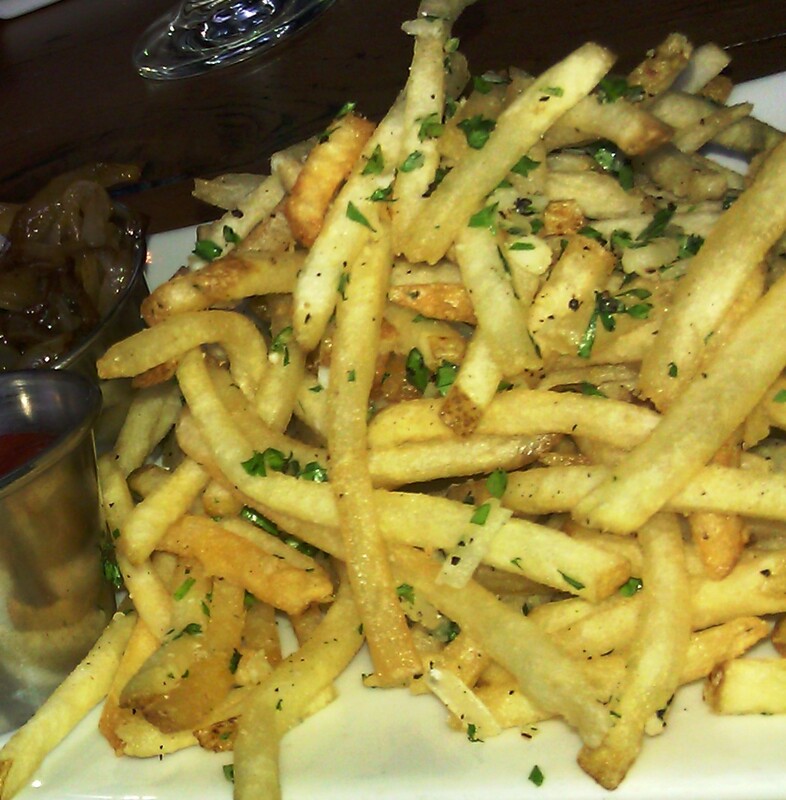 The Parmesan fries at Brick + Mortar were cooked to a golden finish in canola oil. The Parmesan fries were so light on the Parmesan that I had trouble locating any of it. The fries were also under-salted. 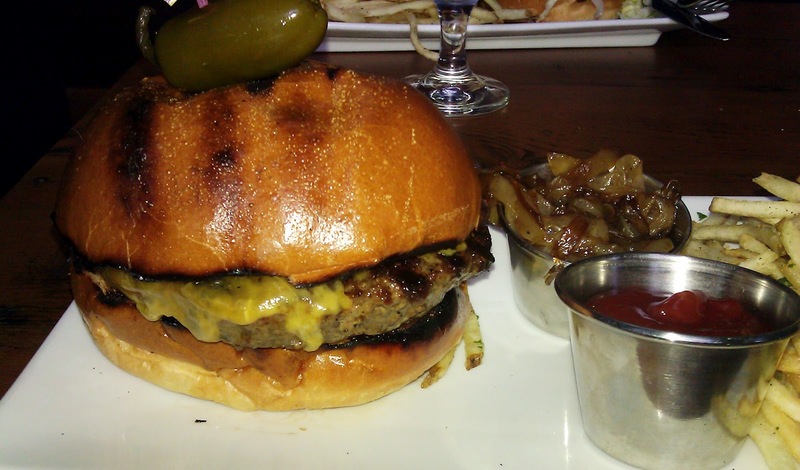 The Value: At happy hour prices ($10), the burger at Brick + Mortar was a tolerable value. I would have been upset had I paid the full boat price of $15. It simply was not worth it. I only ate 1/2 of my burger as it was. Brick + Mortar served up a burger with a great pedigree. However, potential and reality are often miles apart. In the case of Brick + Mortar the potential of the burger was stifled by some easily corrected blunders. Hopefully, as the kitchen matures, the burger will improve. Burger Review : Great ingredients were held back by lackluster preparation at Brick + Mortar. The cheese on this cheeseburger elevated this dish to an above average rating. I agree with everything in this review, down to the minutest detail. Excellent and precise. Especially on the beef's texture and taste. The only problem I have is that I visited this place solely because I remembered it got a 4 Bite review. Now after having actually read the review, it's apparent that in substance it's actually a 3 Bite review. Ahh well, it was a good enough burger and the ambiance was cool. They have a DJ. Also the staff was the friendliest and prettiest I've encountered in years...not an easy combination to achieve.